Having been laid up for a month with tendinitis caused me to shelf the book for a while because all you want to do while reading this is go out and run. I am very thankful for the minimalist shoe/barefoot running movement, since the lighter, thinner soled and more flexible shoes allow me to run much more comfortably than when I tried a decade ago with the bulkier shoes that were your only option then. Ironically, the most barefoot of the runners turned out to have the sorest feet at the end of the Tarahumara ultra, or so it was implied. I don't know if I'll ever be crazy enough to train to run an ultra, but it'd be great to get up to at least half-marathon status. 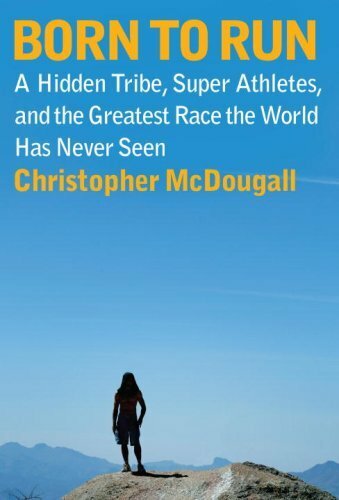 One thing that struck me about running - and this is focused on several times in the book - is how much calmer and happier I feel when I run regularly. I have been terrible at finding time and space to meditate since returning to the Midwest, and running seems to fill that void in some way. Once I finish the couch to 5K and 10K programs, perhaps I can run while listening to guided meditations. Not how you're technically supposed to meditate, but hey, it's better than not at all, right?